Second Songwriting Session, Sept., 2015. 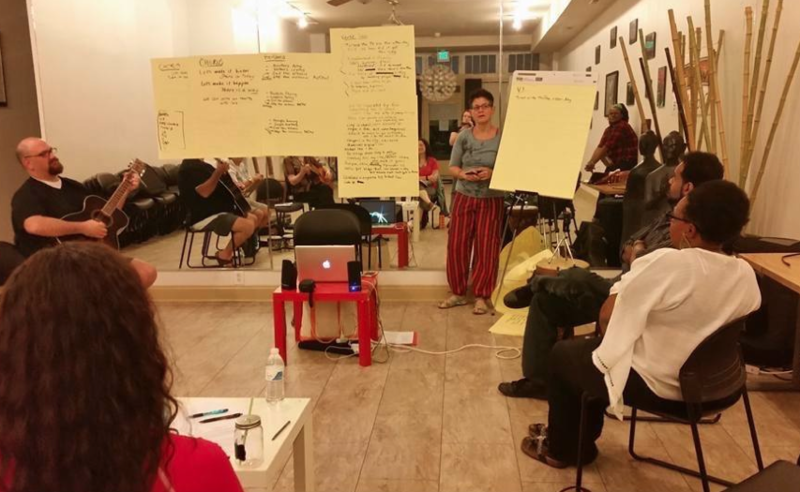 Our second songwriting session at The Living Well in Baltimore concentrated on lyrics for this powerful song for unity for Baltimore. "We can unite our hearts with love!"